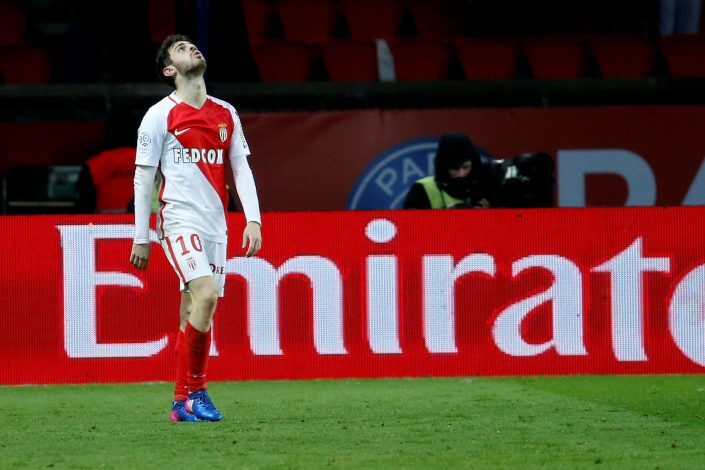 Chelsea have reportedly held talks with Monaco’s Bernardo Silva over a summer move to Stamford Bridge. According to The Sunday Times, the Premier League leaders are doing everything they can to strengthen their squad for next season, obviously eyeing the potential Champions League challenge. And the 22-year-old, who is valued nearly £70 million, has become a top priority, as the Blues have initiated discussions with the player’s representatives. Chelsea are next to guaranteed Champions League football next season and then there will be no luxury of one per week week next term. And this is the fact bothering Antonio Conte the most, who has already assured he will recruit genuine quality in the West London ranks, as well as reserve enough cover for a congested fixture list. The Italian tactician is believed to have decided to clear out some of his Chelsea squad, with promising youngster Dominic Solanke set for departure. The Blues are also interested to challenge Arsenal and Bayern Munich for Torino star striker Andrea Belotti, while Atalanta midfielder Franck Kessie being another summer transfer target. Chelsea want to look beyond winning the Premier League this season, if they can ultimately get over the line, by throwing a strong challenge in the Champions League straight away next term. Silva can be used as No 10 or on the right hand side and would fit perfectly into Conte’s formation. But the Stamford Bridge hierarchy are well aware that there is a potential bidding war waiting for Silva. Tottenham boss Mauricio Pochettino is also keeping tabs on Silva after the Monaco ace ripped apart Spurs in the Champions League group stages this season.